An expert in beauty, Shu Uemura has unlocked the secret to incredible and translucent skin with new “+0 sec efficient whitening“, a ground breaking whitening program that incorporates the latest innovation in skin science to target the causes of dull, uneven skin. Day after day skin becomes more translucent and bright without the need for any additional skin steps and saving you time. 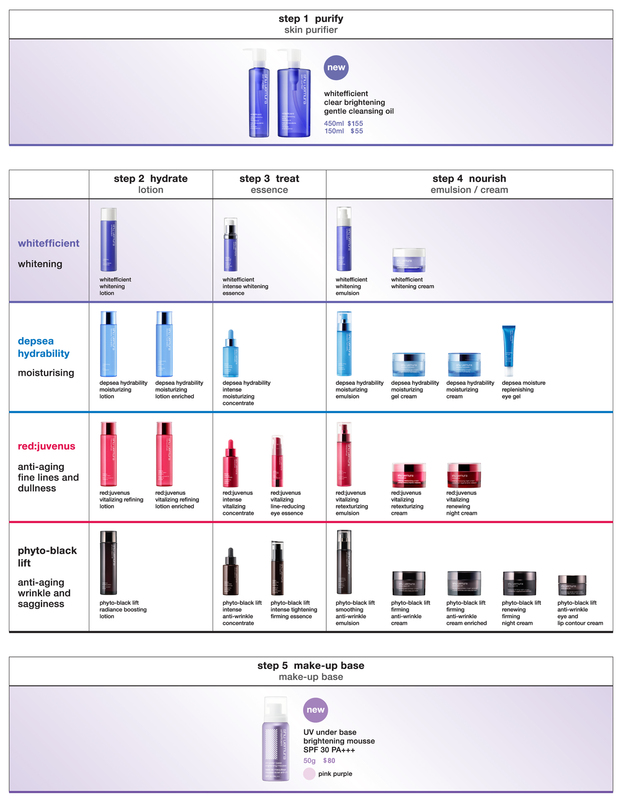 Now, Shu Uemura unveils the simplest way to whitening with our new skincare regime. There’s no fuss, no extra steps for busy women who want bright, even and silky translucent skin. Busy lifestyles mean little time to spare when it comes to whitening. But Shu Uemura has opened the door to more translucent skin with the hassle. Nature, science and art provide inspiration for innovation after innovation, from its pioneering cleansing oils to it groundbreaking mousse makeup base. 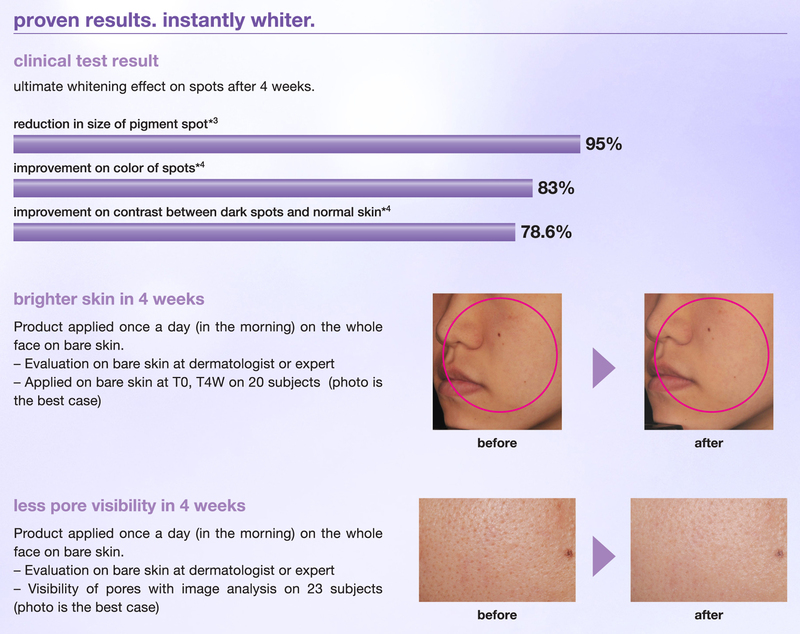 whitefficient 2012 brings together two signature products – Shu Uemura’s cleansing oil and UV under base mousse – to create “+0 sec efficient whitening” a whitening program that achieves results effortlessly, with no extra steps. Simply replace your regular cleanser and base makeup with whitefficient without the fuss of an extra whitening serum or essence for the effective results. Shu Uemura integrates its expertise in cleansing oil with the most advance technology to achieve a brightening effect through cleansing. Use in the morning and the evening to remove makeup and prevent the accumulation of old skin cells that contain melanin and make skin dull. Click to enlarge image below for more details. Since its sensational debut in 1990, UV under base mousse has gained extraordinary popularity and credibility from celebrities and women around the world. Now, the UV under base is reborn to bring your beauty to another new level – bridging the advantages of Shu Uemura’s “light as air” UVUB mousse with clinically tested whitening efficacy for an instant brightening effect and clarified, even skin. How to incorporate Shu Uemura’s new whitefficient Brightening Duo into your daily cleansing and makeup routine? Shu Uemura suggests the following steps where you and I don’t even have to change any of our skincare products, simply use whitefficient clear brightening gentle cleansing oil for cleansing and apply UV under base brightening mousse SPF 30 PA+++ before makeup. With over 40 years of expertise in women’s skincare, Shu Uemura continues to break boundaries. 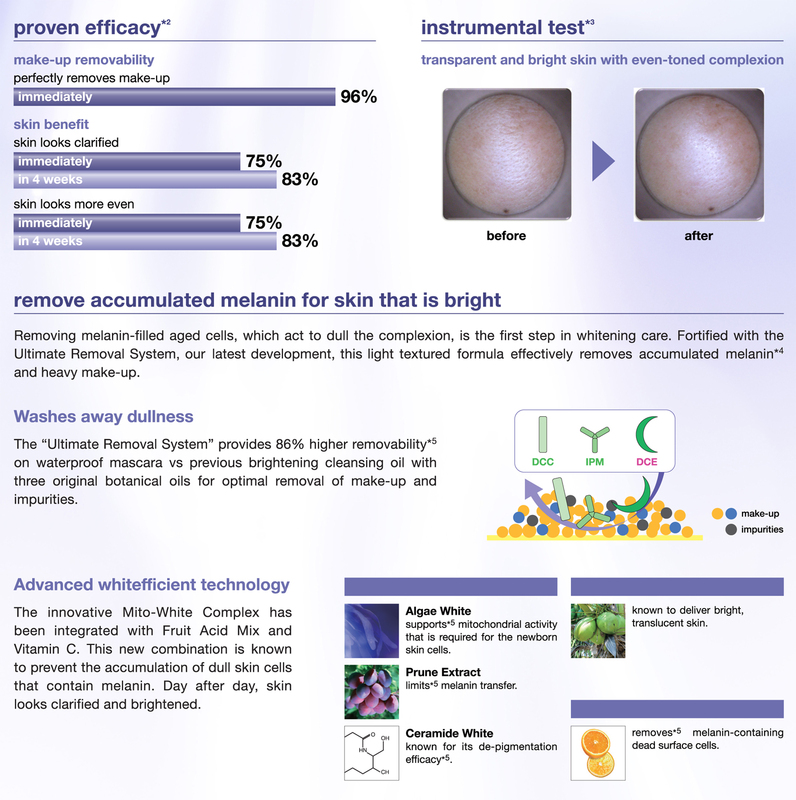 whitefficient clear brightening gentle cleansing oil will launch in Jan 2012 and retails at S$155 for 450ml, S$58 for 150ml. UV under base brightening mousse SPF 30 PA+++ will debut in Feb 2012 and it will retail at S$80 for 50g of product. Previous post ← What’s My Daily Dose? Just curious, do you get whitening products in the UK? I am tempted, as i really enjoyed the previous version of the brightening cleansing oil. Bought it from HK at a very good price! !